A little research and planning can save considerable energy costs and reduce the potential for product loss. 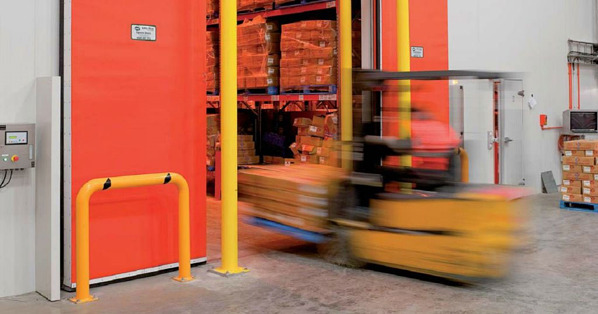 If you are looking to install Cold Storage facilities in your operations, there are 5 key considerations you need to explore. For a warehouse or storage facility with access to waste heat, the absorption system is more useful because the waste heat can be used as energy to power the refrigeration unit. The use of vapour compression systems depends largely on the energy sources available and their relative costs. For any other facility than a warehouse storage facility the efficiency of the compression system is almost always favourable. Ammonia and Freon Compressors are most commonly used in cold storage warehouses because they are cheap, easily available and have high latent heat evaporation. However, they are also highly toxic and can contaminate produce if there are any leaks. For every 10° increase in temperature, the rate of chemical reactions occurring in a product doubles. The solution to the aging process and disease in food is well insulated cold storage. A lack of insulation can create easy ways for heat to enter, costing money both for further cooling and in the decreased life of the products. The major source of heat entry into a cool storage area is the door. Every time it is opened there is an instant portal for heat entry. Thus it is vital to have doors open for the minimum possible time. For high use doors a product such as the Movichill high-speed door is a perfect match. It is quick, self-repairing and keeps a strong seal when closed. A stronger insulating product such as the Ultiflex High Speed Door is the new industry standard, its combination of speed, resilience and its incredible insulation makes it the first choice for any cool storage facility. There are few key things that all cool storage needs to answer in terms of location. Firstly, it needs to be aligned well between growing areas and the market. That is it should be as close as possible to the area of production to decrease transit time. But this also needs to balance with the ability to get the product to market in as little time as possible. It should have easy access for heavy transport vehicles and secondly, the facility must have an uninterrupted power supply, which is obviously vital for keeping the product cold. Many laws, both state and local moderate the cold storage industry. One major influencer of all cold storage has been the Montreal Protocol, which has been legislated worldwide for the use of more environmentally friendly substances in refrigeration. It is always wise to take time considering future developments of the protocol when choosing cold storage options. Currently the phasing out of Hydrochlorofluorocarbons (HCFC’s) is almost complete and chloroflurocarbons (CFC’s) are also under phasing out. The removal of chlorine from these substances to create just hydroflurocarbons (HFC’s) is an effort to protect the earth’s ozone and has been embraced across Australia and worldwide. Hopefully this basic information about cold storage and some of our tips will help you in the maintenance and creation of any of your own cold storage facilities. For more information about the food manufacturing process download the complete guide below.